You've picked a date, reserved a campsite and your family is looking forward to an adventure in the outdoors–congratulations! 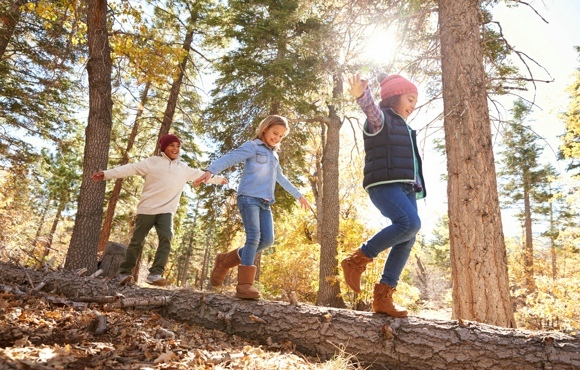 Camping with kids is both challenging and rewarding, and there are a lot of details to consider, from gear to meals to safety precautions. 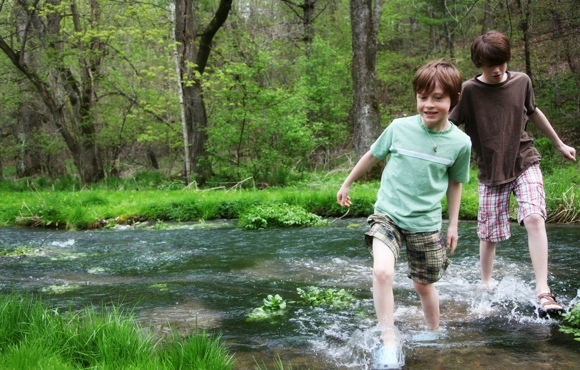 Read on for our best tips to make camping with kids go smoothly. 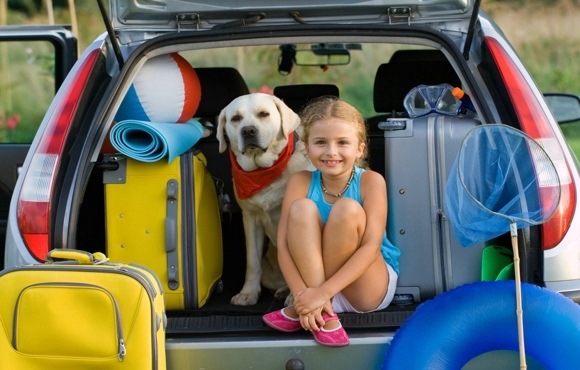 A packing list is a must when preparing for a family camping trip. But if you're not sure where to start, we have you covered. Click below for a checklist of essentials, plus extras for camping with infants and more. And remember–always double-check your list before heading out. Safety is absolutely key when it comes to kids and camping. 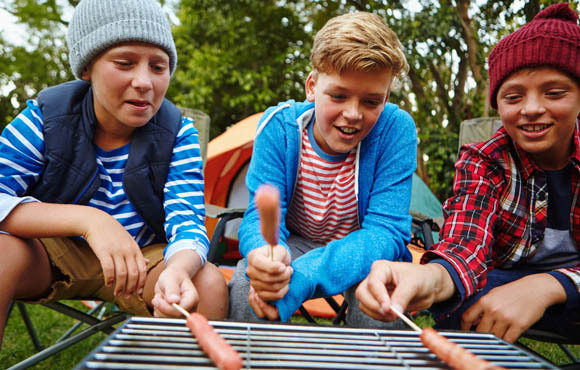 Click the link below for a list of camping safety rules, and spend time going over them with your kids in the days leading up to your trip. What's a camping trip without a marshmallow roast? 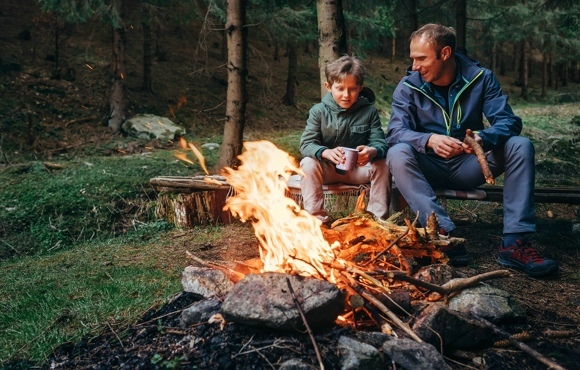 Fire safety is one of the most important lessons kids can learn while camping, so get a jump on the basics at home and reinforce best practices while you're on-site. Also, remember to bring a fire extinguisher and make sure everyone knows how to use it. Your tent is your home away from home, and choosing just the right one can be a challenge. Click the link below to learn how to choose the perfect tent for your family. Once you choose the perfect tent, make sure your family treats it with care. The exterior of your tent has a waterproof coating that's susceptible to damage from excessive abrasion. Protect the floor of your tent, as well, with a large tarp or tent footprint. Lastly, keep it zipped up tight against insects and larger pests while you're away from the campsite. 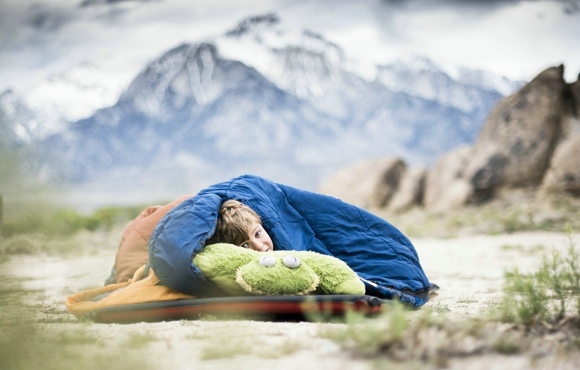 Like your tent, sleeping bags require special care. They absorb moisture from your body during the night, which can reduce the efficiency of their insulation. 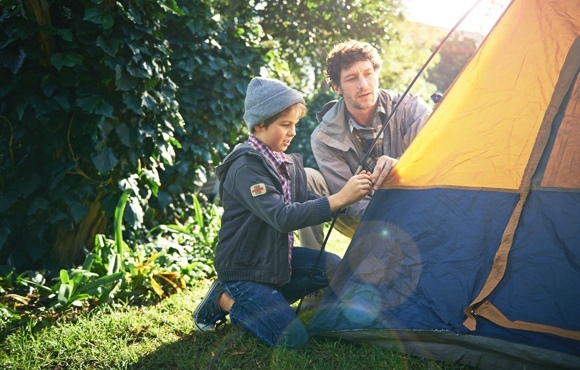 Make sure to unzip each of your family's sleeping bags during the day, and allow them to dry in the fresh air. When the nearest grocery store is 30 minutes away and your oven is a campfire, you have to have a plan. 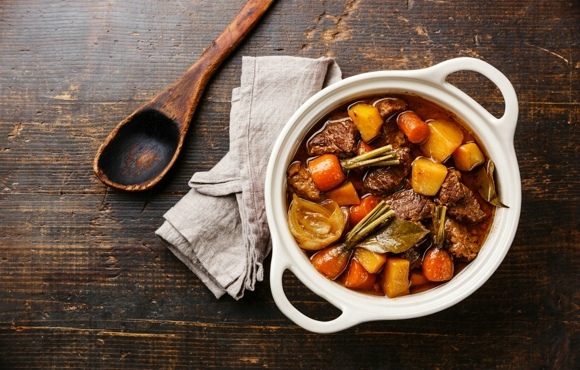 As the Executive Chef of your family's campsite, the first step is making a menu. Click below for simple step-by-step instructions. 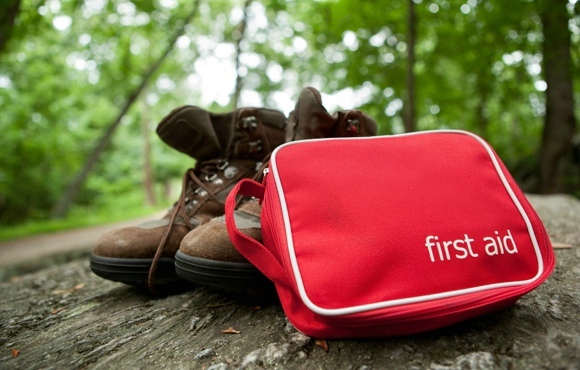 In addition to basic first aid kit supplies–bandages, gauze, antibiotic cream, etc.--a few extra items are wise additions for a family camping trip. Include over-the-counter medications for pain, allergies, diarrhea, heartburn and constipation, as well as an epinephrine injection pen if needed for any family members. Also make sure to pack scissors, tweezers, hand sanitizer and a blister treatment kit if you'll be doing any hiking. Long days in the great outdoors equal increased hydration needs for every member of the family. Don't underestimate the amount of drinking water you'll need, both at camp and on the trail. 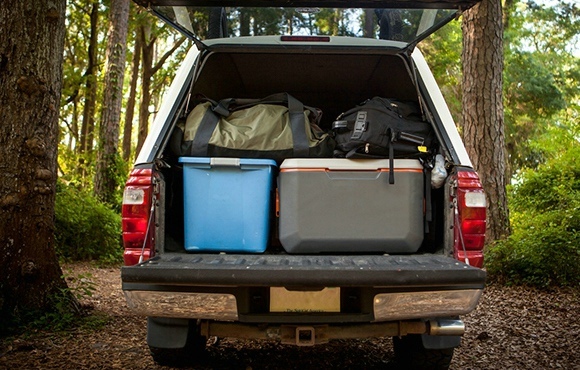 If drinking water isn't available at the destination you choose, stock your car and cooler with enough bottled water to get you through the entire trip (and then some). 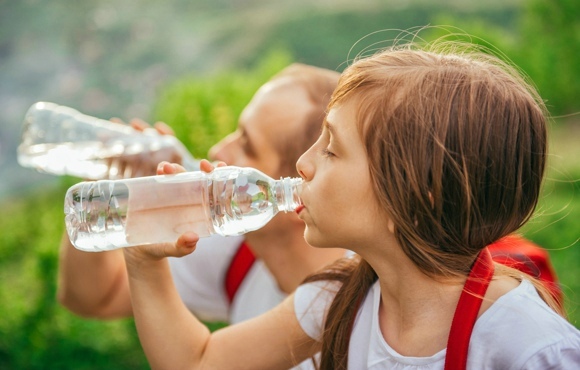 Click below for a handy guide to kids' hydration needs. Plastic storage bins are many a parent's best friend at home, and they're also a great way to keep gear clean, dry and organized at the campsite. An empty storage bin next to the tent can also catch soiled socks and shoes before they sneak inside. 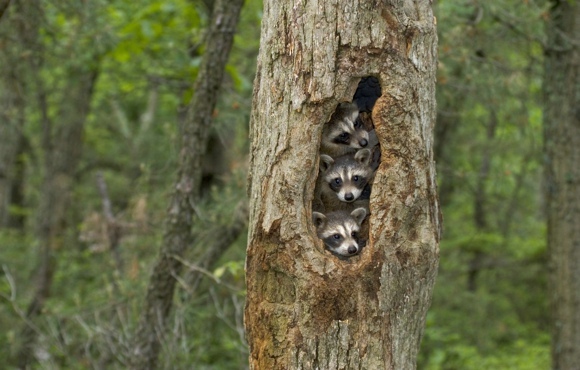 A campsite has little in common with your home kitchen–unless, that is, you often let furry creatures raid your pantry. So, after choosing your destination, review any available information about the local animals. Some parks provide bear boxes for food storage while others may require you to hang food in a bear bag or use a bear canister. 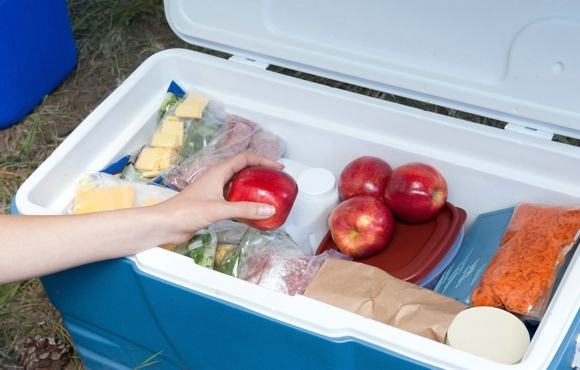 Storing food in a cooler in the car at night is another option, if raccoons and other small creatures are the main concern. Finally, review proper practices for trash disposal, which will vary by campsite. Flashlights are a must for all family members to ensure safety and the ability to navigate at night. A lantern hung outside the tent also comes in handy for overnight trips to the latrine. 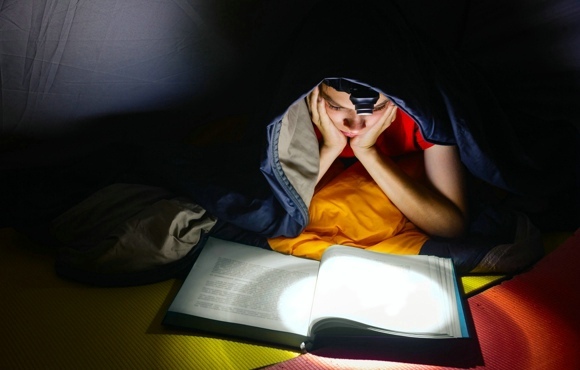 Alternately, headlamps leave hands free for brushing teeth, tying shoes and other necessary tasks when it's dark and there's no overhead light to flip on. Boredom can turn happy campers into restless pests in a matter of moments. 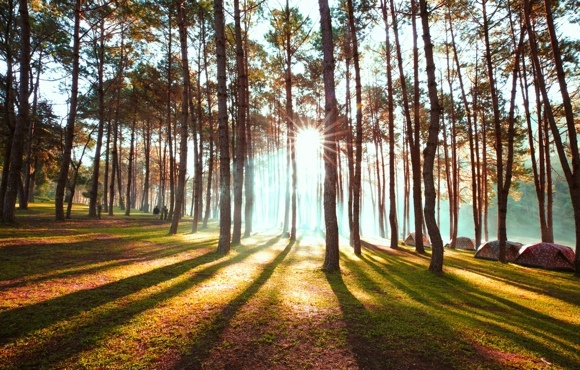 And, while there's so much to do on a camping trip, sometimes kids need a little nudge away from their screens in favor of an outdoor adventure. Click below for some great ideas. From the mountains beyond to the stars above to the trees all around, beauty abounds in nature–but none of it can be seen with your eyes glued to a screen. 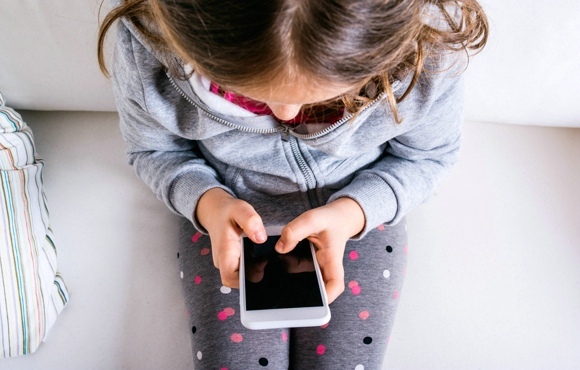 Prior to your trip, talk with kids about when it's appropriate to utilize electronics–geocaching, anyone?–and when you expect them to go without and let nature do all the posing and tweeting. 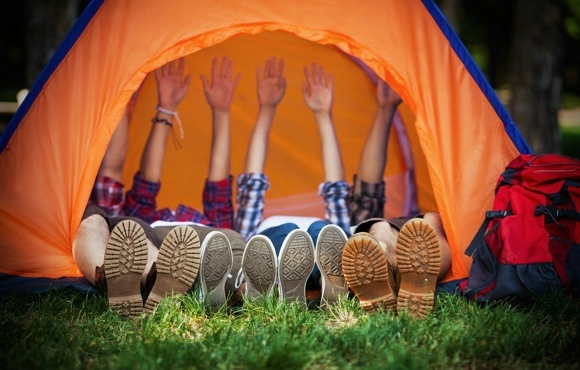 Most camping etiquette is common sense for grown-ups, but kids will need a refresher. Big don'ts include disturbing other campers with loud noises and music, racing through the woods and snooping in other people's campsites. Also, check for rules about where visitors can and can't collect firewood or wash dishes. Above all, be considerate of your neighbors and of nature. Remind kids that they're visiting the animals' home–not the other way around. Local wildlife should be respected and given plenty of space. Kids should never, ever try to pet an animal in the wild, no matter how cute and cuddly it may look. Not only could it carry disease, but even the most adorable critters can bear teeth and claws in defense if approached on their home turf. Finally, have you ever arrived at a campsite to find it littered with cans and bottles, scraps of paper and cigarette butts? Talk about a letdown. 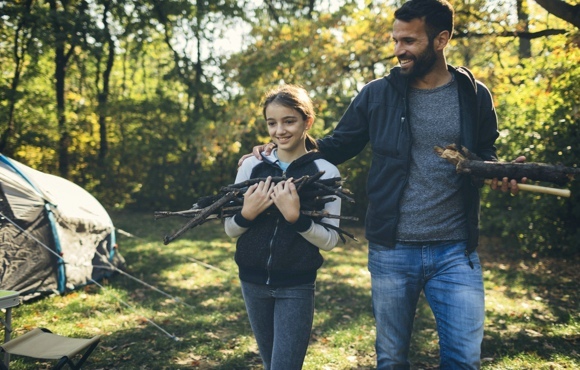 Teach kids that leaving a place cleaner than they found it is great for the environment and just plain nice for the next family who stays there.